The first of four children, Alessandro Nardone was born near Rome on May 3, 1976 and, after just a few weeks, his parents took him to Como, where he grew up. Deeply in love with Irene and father of Vittoria Amelia, he is always animated by a particular energy, in some ways explosive, that he channels at work and in his passions. Events planner, expert in web marketing, but also incurable fan of politics and writing. In 2002, only twenty-four years, was the youngest city councilman elected in a provincial capital city, and today, set aside “active” politics, he writes for his blogs and he is part of the editorial staff of newspapers such as Il GiornaleOFF, Il Giornale d’Italia, L’Intraprendente, L’Ordine and Totalità. 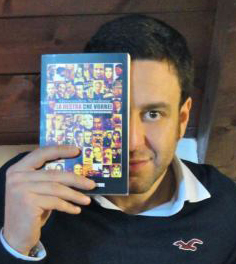 Still about politics, in 2011 he wrote and published the essay entitled “The right wing I wish for – the scrappers of Freedom Party and the end of Berlusconism”, book that he had presented in a real tour in different parts of Italy, and with which he had anticipated many of the topics that today are still central in the political debate in our country. But let’s speak about “I hate you deeply”, his novel. Written straight after a big disappointment in love, and published in 2009 by a small publisher in Rome (Arduino Sacco), the first novel by Alessandro lives a real crescendo, becoming a literary event that, practically from nothing, has reached the national headlines. Then, last April, his second life began, starting with Alessandro’s decision to publish it free on iBooks, curious to confront in a so wide showcase. The result was that, in not even twenty hours, “I hate you deeply” jumped to the first place in the overall ranking, where it remained for thirty-six consecutive days (it is still in the contemporary fiction ranking), totalizing more than 100.000 downloads, approximately 1.400 feedbacks (with average of four stars out of five) and 222 reviews, all public, therefore accessible on iTunes. 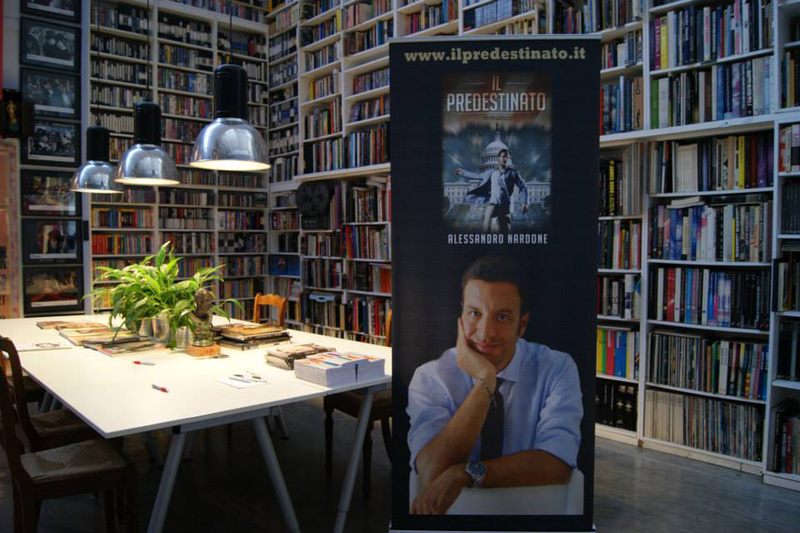 Now Alessandro is presenting around the whole Italy The Predestined, a political fiction novel set entirely in the US and that several journalists have called «an American novel written by an Italian», that is getting a great success and a great attention from the major media.